Smoke is a born agility dog and loves the jumps. 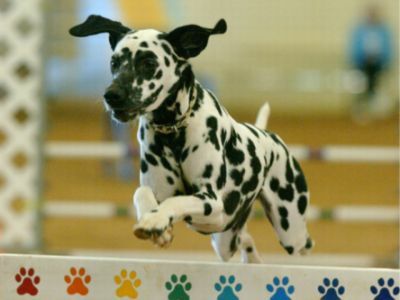 She is the first Dalmatian to acquire the USDAA title of Accomplished Jumpers Dog. Owned, trained, and handled by Donna Dombourian.